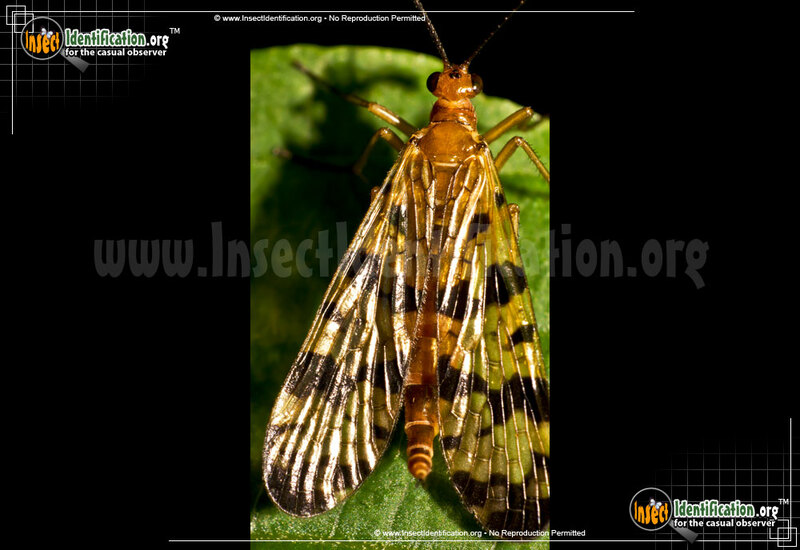 Detailing the physical features, habits, territorial reach and other identifying qualities of the Scorpionfly. 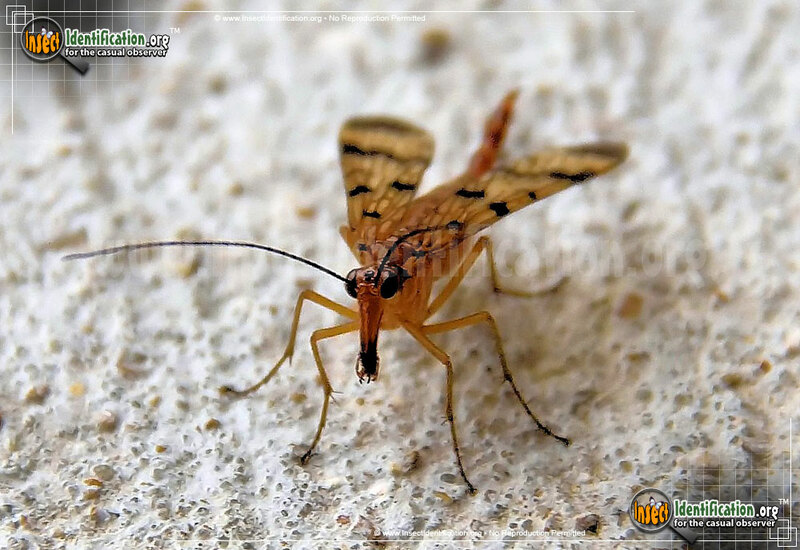 Scorpionfly males have tails that look just like their ground-dwelling desert namesakes, but they do not sting nor bite. 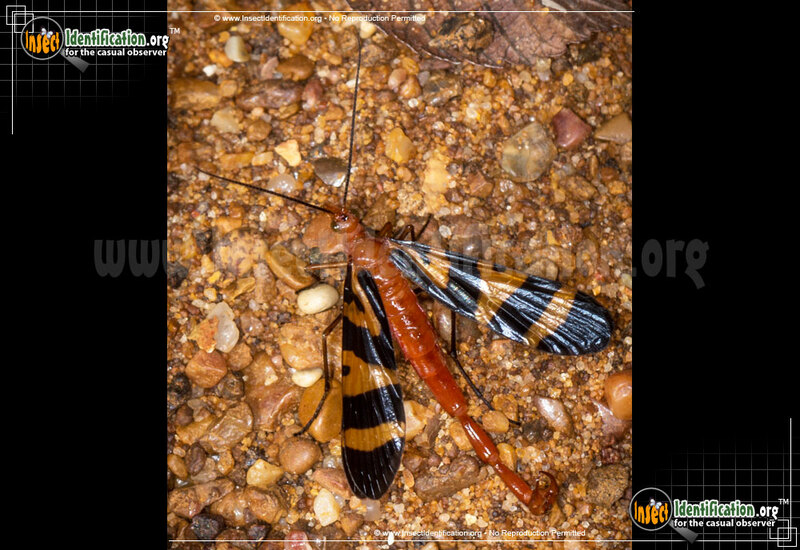 The curved 'tail' of a male Scorpionfly ends in a bulge that appears to have a stinger at the tip. This resemblance to scorpion tails led to their common name, though the association is only visual, not functional. The bulging end of the male's 'tail' is its reproductive organ. It is not a stinger and the insect cannot sting with it. It is used when mating to fertilize eggs inside a willing female after courting her with an acceptable gift of food and wooing her with his pheromone. Females lack the bulge at the tip of the abdomen. Both genders are brown with long beaks, and wings with dark bands and spots on them. Females lay fertilized eggs in the ground or inside rotting wood. Larvae resemble caterpillars and eat dead insects they encounter. They go through complete metamorphosis to become winged adults. Some will pupate through winter, others will overwinter as adults. Adults also feed on insects, living or dead, and may occasionally drink from flowers. 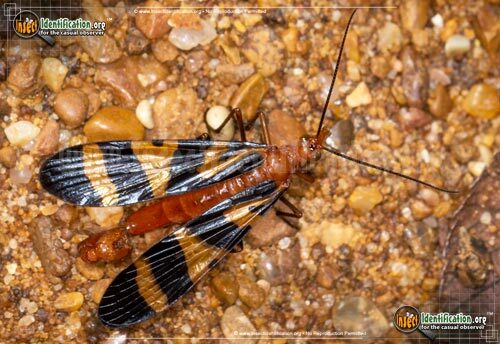 Look for them close to the ground in woods, forests, and wetlands, resting on flowers.